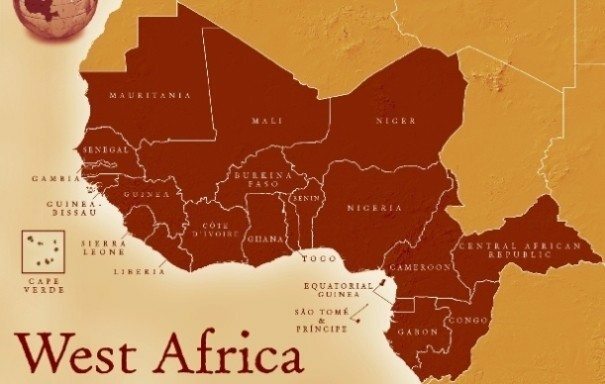 AFRICOM’s roles and objectives in the West Africa region are directly equivalent to those in the Sahel Region. Stated by General Waldhauser, its principal strategic objective is to “contain and degrade Boko Haram and ISIS-West Africa.” An important part of the area, called the Lake Chad Region, includes four countries surrounding Lake Chad—Cameroon, Chad, Niger, and Nigeria. The main operation in this region is the Multinational Join Task Force (MNJTF), composed of forces from Benin, Cameroon, Chad, Niger, and Nigeria. According to General Waldhauser, AFRICOM provides advisors, intelligence, training, and equipment “instead of engaging in direct military operations.” The U.S. forces share intelligence and information with the task force, as well as supporting USAID to “work closely with the UN and NGOs to provide humanitarian development assistance, and stability to the region.” Again, a broad claim of “providing stability to the region” poses the question and concern of how many troops are there, what their roles are, and the threat and danger they face. Also, AFRICOM plans to expand counter-IED (improvised explosive device) training and equipping programs in the entire Lake Chad region. The only country explicitly stated and examined in General Waldhauser’s statement is Nigeria. While refraining from providing any number of troops or operations in the country, General Waldhauser mentions the U.S.’s role of intelligence sharing and counterterrorism efforts in Nigeria. Nigeria is a key focus of U.S. activity in Africa as a whole, as Nigeria has large oil industries and is the biggest economy on the continent. Even though General Waldhauser only mentioned Nigeria (and the Lake Chad Region as a whole) in his testimony, there are other areas of operation in West Africa. For example, the U.S. Army released a statement in November 2017, noting the creation of a new output to fight Boko Haram in Cameroon. The question to consider at this point is whether or not AFRICOM is operating in other West African countries. It is clear that in the Lake Chad Region (and Sahel region), the U.S. is heavily present and active. U.S. Defense Secretary Jim Mattis even said in October 2017 that the U.S. military has more than 1,000 personnel in the region, referencing the area that includes Niger as well as Mali and Nigeria. But does the U.S. station troops and conduct operations in neighboring countries in West Africa, such as Ghana and Guinea? Without any information from AFRICOM or any reporting, this may never be known.